Netflix original series Klaus is getting a theatrical run in an effort to qualify it for the Oscars. The streaming giant announced the news at Netflix’s Hollywood headquarters during the two-day Netflix Labs event last week which also included a small press preview of the film’s selected footage. 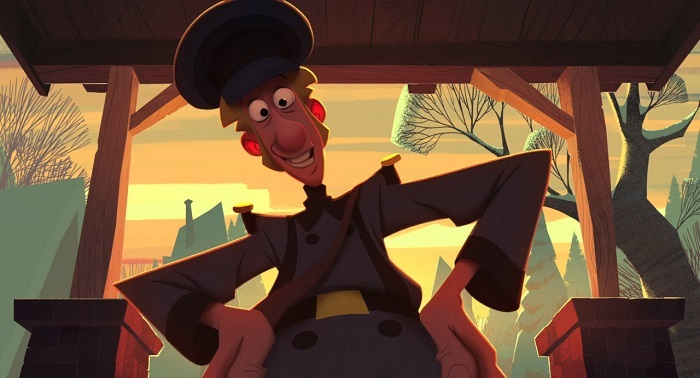 An origin story of the make-believe portly do-gooder, the animation comedy is set in a small village and follows the friendship between a young local lad and a toymaker named Klaus. Directed by Despicable Me creator Sergio Pablos, the stellar voice-cast of the Klaus includes Jason Schwartzman, Rashida Jones, J.K. Simmons and Joan Cusack. Even though the dates of the release haven’t yet been revealed, Netflix is touted to open the movie in cinemas during this year’s Christmas holiday season. This would also be the streaming behemoth’s first original animated feature, though it is to be followed by other projects such as Pinocchio, Escape From Hat, My Father’s Dragon and Over the Moon, all of which are still in production. Klaus is being produced at The Spa Studios, in Madrid, alongside co-production partner Atresmedia Cine. James Baxter, who supervised the animation on Belle in Disney’s Beauty and the Beast, is serving as director of character animation.